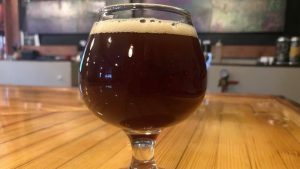 Saint Patrick’s Brewing has moved out of the Littleton taproom it’s occupied since 2014, but the site won’t lose its Catholic influences. Blind Faith Brewing, which has operated in tandem with De Steeg Brewing in an alley off of Tennyson Street in Denver since 2017, has taken over the former Saint Patrick’s brewhouse and beer garden at 2852 Bowles Ave. in Littleton. The takeover was part of a deal struck between Blind Faith owner Tom Martinez and Saint Patrick’s owner Chris Phelps that transferred the location’s brewing operations — but not the Saint Patrick’s brand — to Blind Faith Brewing. The sale included the building’s lease, Phelps’ brewing equipment, and all but four Saint Patrick’s recipes, according to Martinez. Martinez believes this move benefits all three breweries. 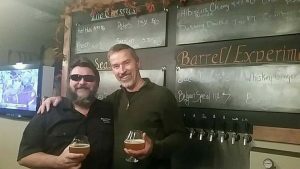 He still owns De Steeg, which is once again the sole occupant of its 1,500-square-foot taproom at 4342 Tennyson, and its two main brewers will continue making De Steeg beer. Saint Patrick’s will turn to contract brewing, and Blind Faith finally will operate its own taproom. Martinez (left) and Ken Klispie, who purchased De Steeg Brewing in 2017. Martinez has been in the beer industry for over a decade, and spent 12 years as an inventory manager for Coors. This triggered his interest in homebrewing, which Martinez said he’s been doing for more than five years. But in 2016, he lost his sight. 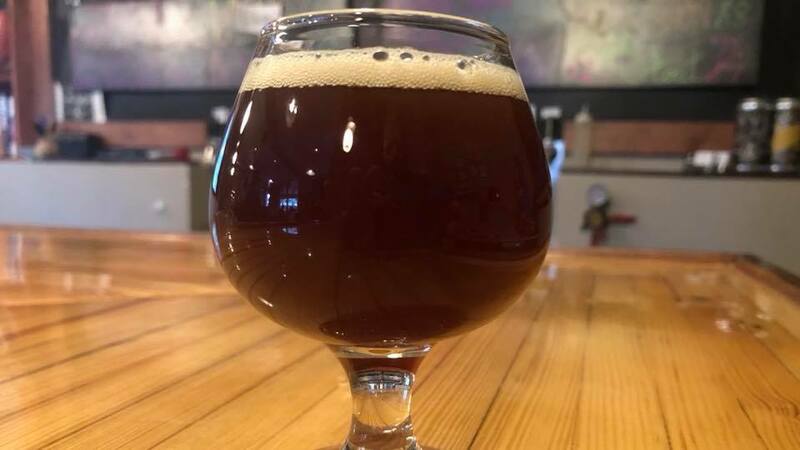 It was only one year later, in October 2017, when Martinez and Ken Klispie purchased De Steeg Brewing from founder Craig Rothgery. 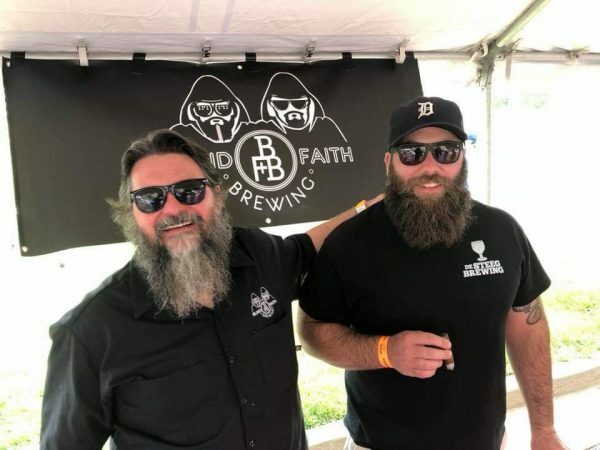 Martinez had already dreamt up the concept of his own beer brand that would give nod to both his Catholic faith and his blindness, so the pair began brewing Blind Faith beers at De Steeg. But Martinez said he’d always planned to find his brand its own home. He met Phelps in June 2018 at an event held by the National Federation of the Blind of Colorado. It was the first time the event included a beer festival, and both men were representing their business, he said. Phelps initiated the sale; he told BusinessDen in an email last week that he had been wanting to sell the business for health reasons. Martinez said he’s signed a new five-year lease on the brewhouse and its accompanying outdoor beer garden. The 5,300-square foot building can fit 80 people inside and has a seven-barrel brewing system. One of Blind Faith’s abbey beers, Four Eyed Quad. Blind Faith won’t do any major remodels on the space, aside from redecorations and retrofittings to make the site accessible to Martinez. He said the business is up and running, but he’s still working on transitioning Saint Patrick’s to Blind Faith. Martinez said Blind Faith beers are brewed differently, in another nod to his Catholic faith. Trappist-style beers, or abbey beers, generally fall into categories that align with a brew’s strength and color: single, dubbel, tripel and quad. Martinez said these beers have a fuller body and a deeper, more intense flavor. Martinez said he’ll add Blind Faith beers at the new location in a few weeks. For now, they’re offering a few Saint Patrick’s beers that were included in the purchase. He’s also keeping on the Saint Patrick’s staff, comprised of three beertenders and a brewer. Saint Patrick’s retains its four core beers and its brand, and Phelps confirmed that it’s transitioned from a “taproom-based business model to a production brewery.” Martinez said that Saint Patrick’s now will brew at Sleeping Giant Brewing Co., a contract brewery in Denver, and go strictly wholesale.